Brian O'Driscoll, one of the world's great centres, prepares to play the 141st and final Test of a stellar career when Ireland face France in Saturday's Six Nations finale in Paris. 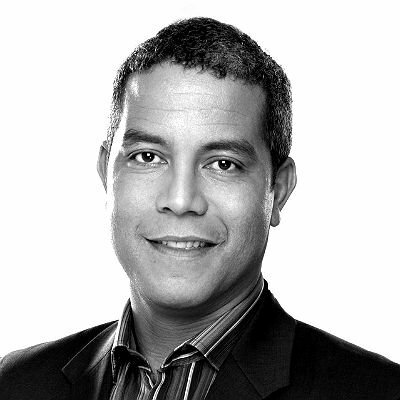 Former England star Jeremy Guscott, known as "The Prince of Centres" in his own 10-year international career from 1989 to 1999, will be part of BBC Sport's coverage at the Stade de France. Here he offers his own appreciation of O'Driscoll as he compiles his top 10 centres - in no particular order - from those he either played with or against, or has observed over the past 15 years since his retirement. O'Driscoll has stood the test of time. Fifteen years is a long time to be playing international rugby but he is such a smart rugby player, and never looked out of place. He is still able to score tries and create tries, as he showed against Italy last weekend with a man-of-the-match performance. He has adapted his game to suit the time. When he started he was a rapid runner who could change direction on a sixpence, and be away again. His pace has dropped off, as you would expect. But four or five years into his Test career he understood it is not just about running fast and making breaks and scoring tries. There was a defensive role too which he and [Ireland partner] Gordon D'Arcy made their own. They became two extra back-rowers at centre, as well as remaining attack-minded. I don't think you will see too many like O'Driscoll, D'Arcy or Matt Giteau in that centre role anymore. When you look at the size of the centres now - guys like Jamie Roberts, Billy Twelvetrees, Ma'a Nonu, Jean De Villiers - you have to be exceptionally talented. If you are only 5ft 10/5ft 11in and 15 stone, you have to be unbelievably good and have some subtle skills. Brian is just a brilliant, intelligent rugby player, incredibly classy and cool, and a great guy too. I nicknamed him the fastest prop in the world on the 1997 Lions tour to South Africa. He was effectively my minder, although I think that was a self-appointed role! That was the first time I came across sledging on that tour. It must have been a rugby league thing, as Scott had recently returned from the 13-a-side code, but it seemed to work. 'Gibbsy' was giving it out to the Springbok forwards, enticing their back row in our direction. He said: "Don't worry Jerry, I'll take care of it." And he did! He was an awesome player. 'Hallers' was my first centre partner. My game really developed outside him. At Bath, he and fly-half Stuart Barnes taught me the ropes and I learnt my trade from Simon. I was a fly-half initially and was a bit concerned about moving to centre. Back then, fly-halves didn't have to tackle and I quite liked that. At centre, it could all be coming your way! Like a good inside centre, 'Hallers' did the majority of the tackling, so was good to play alongside, just like Phil de Glanville, an incredibly hard-working inside centre who suffered from doing all my defensive work for me, picking up a couple of broken noses for his pains. I learnt a lot from Simon, about lines of running and timing, attacking a ball from a fly-half, coming in short or letting it fade out wide and hitting the space. Simon used to offload out of the tackle back then when the offload wasn't used like it is today. Horan and Jason Little were the best centre partnership I played against. In my England career, we only managed to beat Australia once, in the 1995 World Cup quarter-final, and Horan and Little were a big reason for our lack of success. Horan was incredibly quick, powerful and strong, and tackled above his weight, like a back rower. He ran like a winger and passed like a good fly-half, where he sometimes played. He had the whole skill-set - out of hand, or with the boot. He was a very impressive individual. Sella was a hard man. He was incredibly quick and strong, had great handling skills and ran superb lines. He would find every weak spot in your body, too, when he tackled you. It was like being hit by a telephone box full of concrete, swinging from the jib of a crane on a 50-foot wire. If you can imagine what that feels like, that was what it was like being hit by Sella. I only played once against South African centre Danie Gerber in his last Test, at Twickenham in 1992. He wasn't quite as rapid then, but he was also an explosive player in his heyday, scoring 19 tries in 24 Tests between 1980 and 1992. He was another guy who wasn't given enough credit for how good he was. In his time, he was arguably the best inside centre in the world. He was a tough, hard cookie who took the ball in very well, his strength got us over the gain-line and he always linked very smartly with our open-side flanker Peter Winterbottom. It was hard sometimes to get the ball, but I guess I got it just about enough! Frank was a tough cookie. Outside New Zealand he was maybe a bit underrated, but he was known globally as a hard, uncompromising player. He could run hard and strong, ride a tackle, slip out of one, offload; he was more skilful than people gave him credit for. He formed another of the great centre partnerships with Walter Little - the combination of the tough, straight-running inside centre and the more skilful outside centre. It was right up there with Horan and Jason Little. He was a great rugby player and a great person, a complete gentleman who I got to know on the 1989 Lions tour. He had such high standards on and off the field. He was a great defender and had a beautiful outside break and swerve. They nicknamed [former Australia lock] John Eales 'Nobody' - as in nobody's perfect - but Mullin was immaculate. He had porcelain skin, not a hair out of place, his nails would be buffed and shiny. He was always dressed immaculately and played immaculately. I would have loved to play alongside Will for a few more years. His skill-set was well suited to my style of play. He made breaks, could fend, offload out of the tackle and sniff out a try as well. That might have been the only problem - both of us would have wanted to score the try! But he could link well and I would have found a way of playing with him that worked. He did the cut and thrust, but could also finish. Will was deceptively quick, very skilful and could read the game. Very good players have that ability to see the defence in slow motion, while running fast. Will had that. Sonny Bill is almost a force of nature, with a very interesting style of play and attacking skill-set. The way he gets halfway through a tackle and offloads with one hand, whether it is out the back or over the top, has made his name. Others do it now as well, but I think he invented it. It is not just the offload, but the style of offload, with the ball high in the air. He is 6ft 4in and certainly brought a new dynamic into rugby, in the same way as Jonah Lomu, who was the ultimate force of nature. Jeremy Guscott was talking to BBC Sport's Bryn Palmer.